It was robbery on the high seas. The Red Sox were poised to slip below .500 today—facing a 3-1 deficit in the bottom of the eighth inning. But key hits by Hanley Ramirez (two-run double) and Xander Bogaerts (two-out GWRBI) gave Boston a come-from-behind 4-3 win. 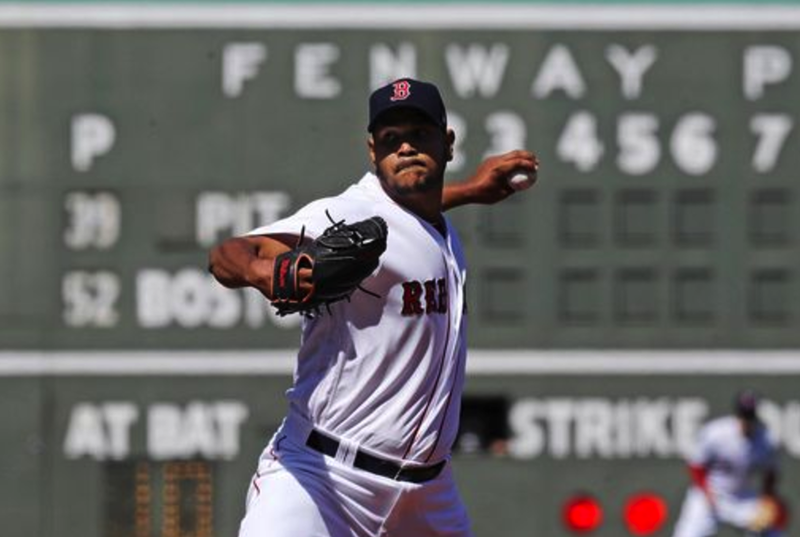 Eduardo Rodriguez settled down after a very rough two-run first inning to go 5 1/3 giving up three earned runs. Matt Barnes pitched another relatively clean 8th inning and Craig Kimbrel delivered his third 'cardiac' save of the season (lead-off single). A really good comeback win that should set the tone for a weekend series with the Rays.